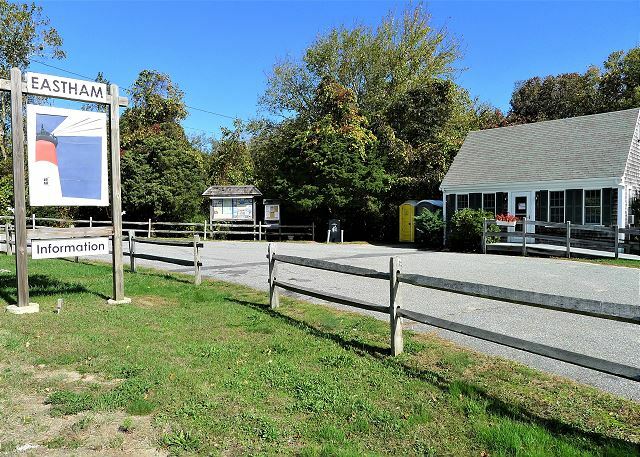 This 4 bedroom 2 bath house in North Eastham is adjacent to the bike path and a walk to Nauset Light Beach! The open living/dining/kitchen/family space is sun-filled with comfy couches and plenty of additional seating cooled by a window A/C. The kitchen is artfully designed and stocked with the full complement of cooking and table ware. Through French doors, you access a spacious deck with gas grill and plenty of patio furniture, including a dining room table and chairs, as well as a great yard for a game of horse shoes or sitting around the fire pit. 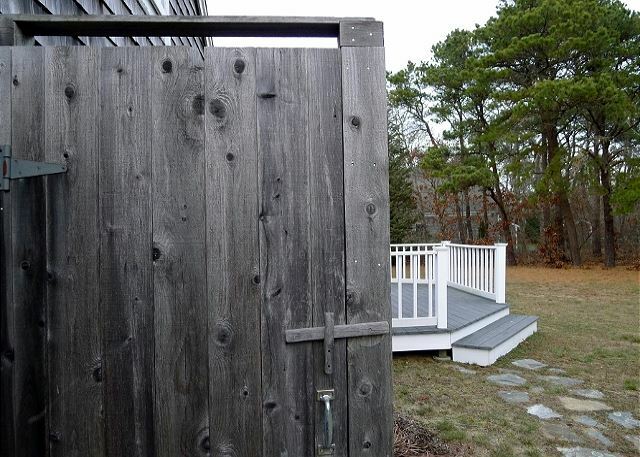 The home boasts an oversized outdoor shower, is under a mile to Nauset Light Beach, and right around the corner from the Cape Cod Bike Path! 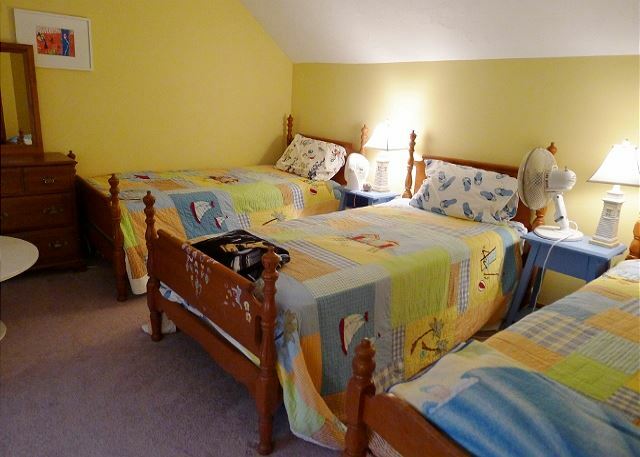 There are two bedrooms on the first floor: The main bedroom with window A/C and king bed and the second bedroom with a queen and a window A/C. 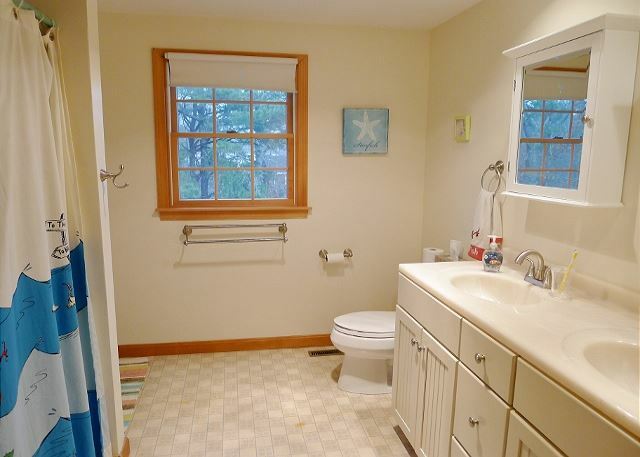 There is also a full bathroom with a tub/shower combination and two sinks. Upstairs there are two more bedrooms and another full bath with tub/shower combination and double sinks. 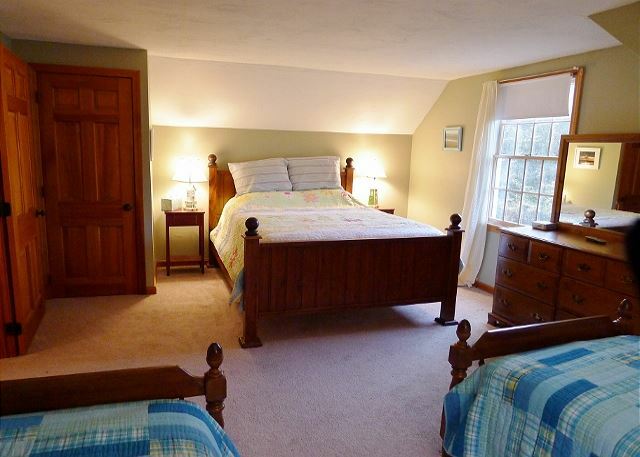 The upstairs bed configurations provide a variety of sleeping options for all 8 guests. Bedroom #3 includes a queen, two twins, and a window A/C, and bedroom #4 sports 5 twins and another window A/C: perfect bunk rooms! 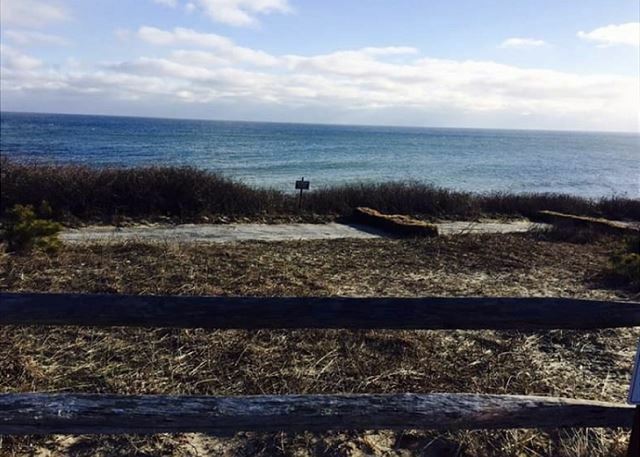 Because of its proximity to the water, the light in and around this home is nearly incandescent, with the unmistakable scent of salt water in the air and the distant thrum of the surf. Also included: WiFi Internet, Room for car in garage and 3 in driveway. Additional parking in street if necessary. Updated bedding, horse shoes, and washer and dryer in the basement. *6 beach chairs. *Owners provide these items as favors to guests only and not as an integral part of the rental. If these items become lost or damaged during the course of the rental season, owners are not responsible for replacements. Sorry no pets and no smoking allowed. 8 guests maximum allowed at any time. No parties exceeding the occupancy limit allowed. LINENS (SHEETS/TOWELS) ARE NOT INCLUDED IN THIS RENTAL. We offer travel insurance that is highly recommended and affordable coverage to protect your vacation investment. Please view our policy and procedure page on our web site for detailed information about renting with us. 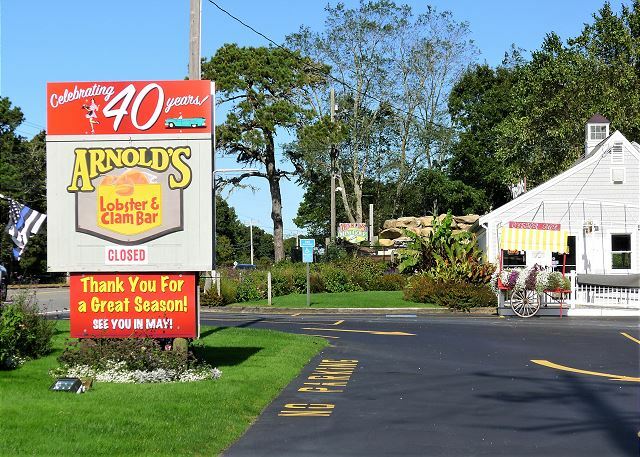 State and local taxes are applicable and may vary based on local ordinances and bylaws. Tax rates are subject to change. After many years of camping in Cape Cod we decided to rent a house. One of our criteria was the proximity of the beach. 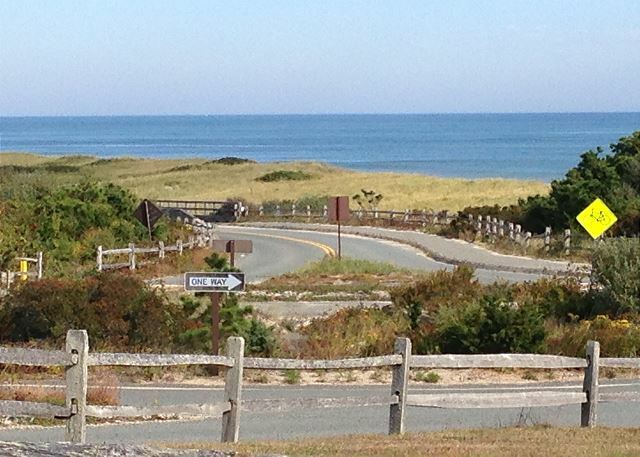 Bingo, we're less than 2 km from Nauset light. 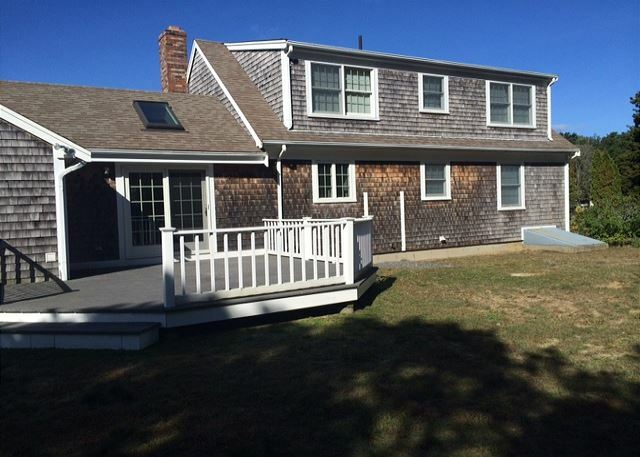 Then we wanted to stay in a "typical" Cape Cod house. This house was beyond our expectations. Everything was perfect! This brightly lit home is in the perfect location!!! We had a ton of space for 4 adults and 5 kids, feeling right at home! The open living/dining space was perfect and welcoming! 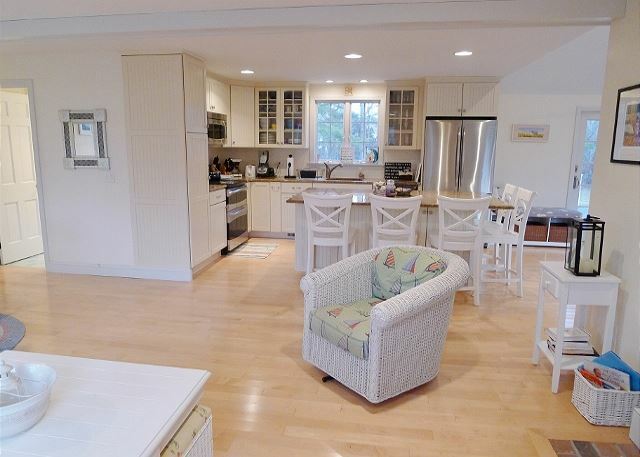 We loved the central location of this home, right off 6A, close to tons of beaches and restaurants! 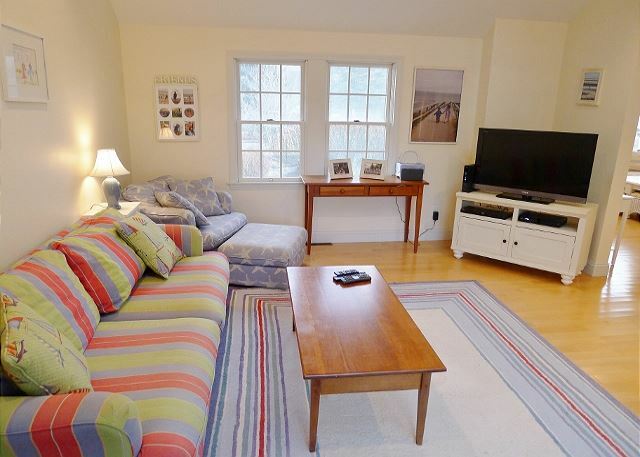 We enjoyed our stay at 60 Aquinnah Road. The house is lovely and beautifully decorated. We appreciated the AC and the fans. 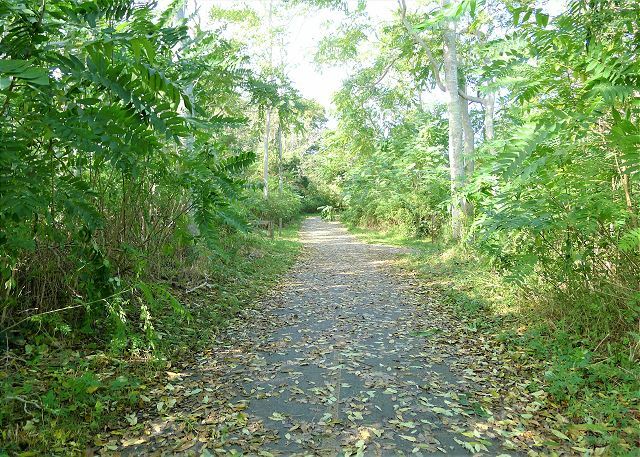 The house is located near the bike trail which we love to ride and close to the beaches and great restaurants. We also like that the house is in the northern section of Eastham. Unfortunately, we didn't have the best beach weather,but we still enjoyed our stay. Our only issues were that we couldn't find an iron anywhere in the house and there is only one television. We couldn't seat 6 people in front of the TV and since our tastes vary, it would've been nice if there were additional TVs in the bedrooms. Of course, we don't come to the Cape to watch TV, but at night before bed it would have been nice to have an additional set or two. But You Can Still Book Online! 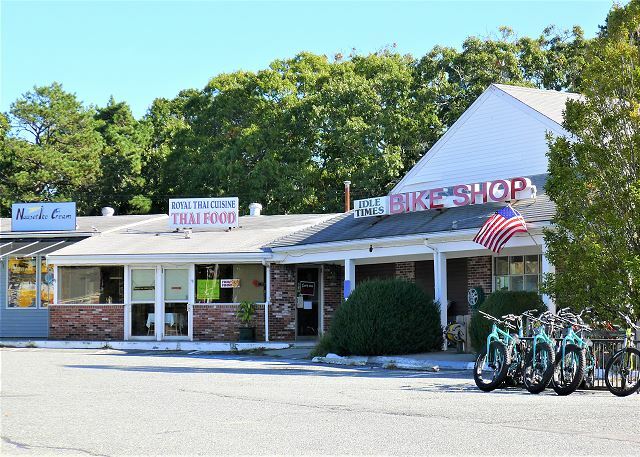 Copyright © 2017 CapeCodRentals.com Website by dlfwebgroup.com.